Chickpeas (or garbanzo beans) are a staple at any salad bar, but have you ever tried roasting them? This recipe revamps the simple legume into something reminiscent of those addictive candied carnival nuts. After you’ve mastered the roasting process, try combining different spices and sauces for a savory version (cumin and sea salt? Yes, please). 2. Line a baking pan with a thick layer of paper towel. 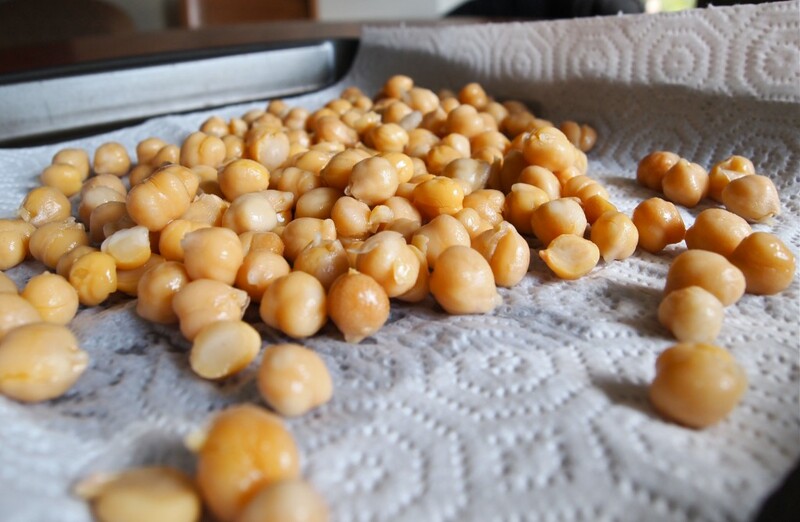 Drain and rinse chickpeas under cold water until all the starch has been removed (the water will run clear). 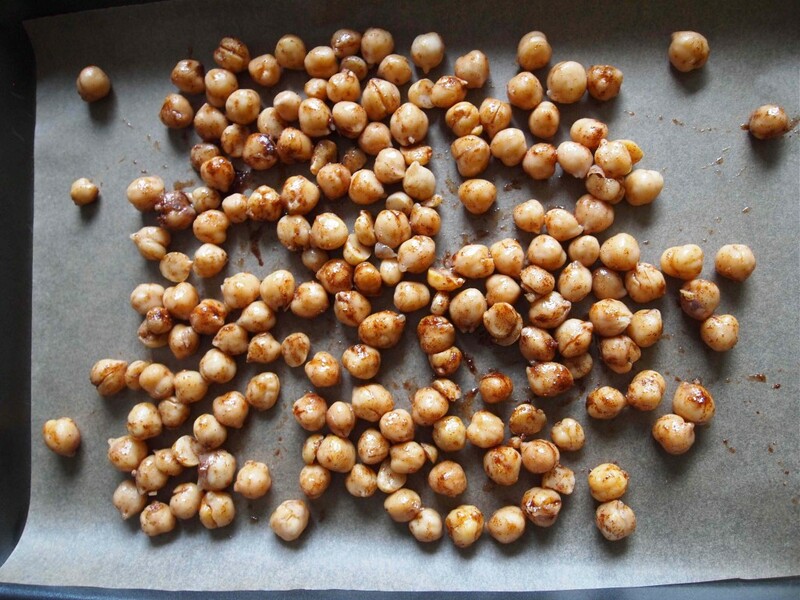 Place rinsed chickpeas onto the paper towel and pat dry. 3. In a medium bowl, use a fork to whisk together the canola oil, cinnamon and nutmeg. 4. Add the chickpeas to the bowl and stir until the oil mixture has coated the chickpeas. 5. Line a baking pan with parchment paper. Spread the chickpeas onto the baking pan in an even layer. Bake for 20 minutes. 6. 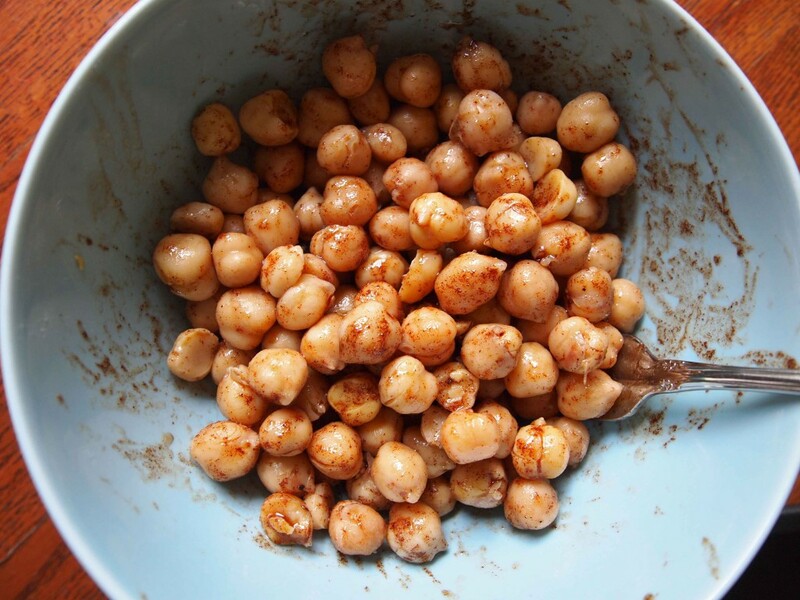 Remove the chickpeas from the oven and sprinkle them evenly with the sugar. Place the pan back into the oven and bake for another 15 minutes. Check your pan after 10 minutes to make sure the sugar isn’t burning. 7. Remove the chickpeas from the oven. 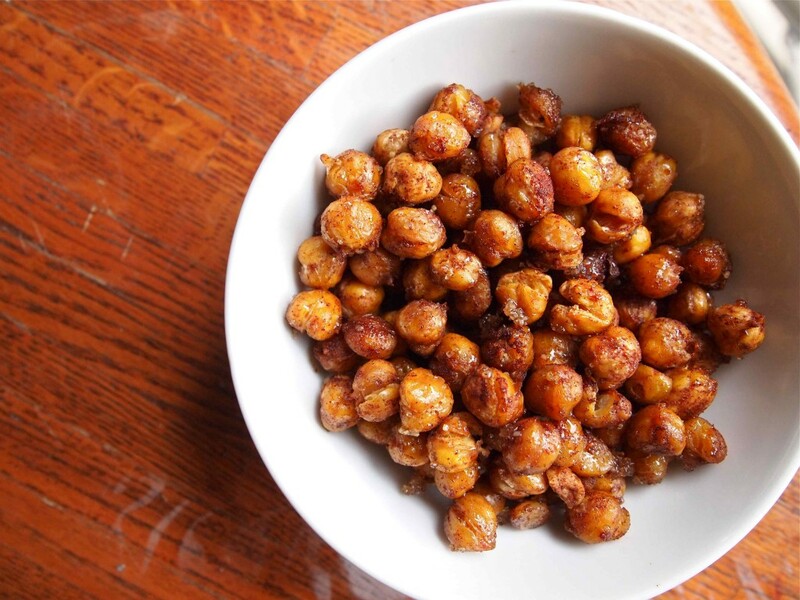 Coat the chickpeas with the honey. 8. 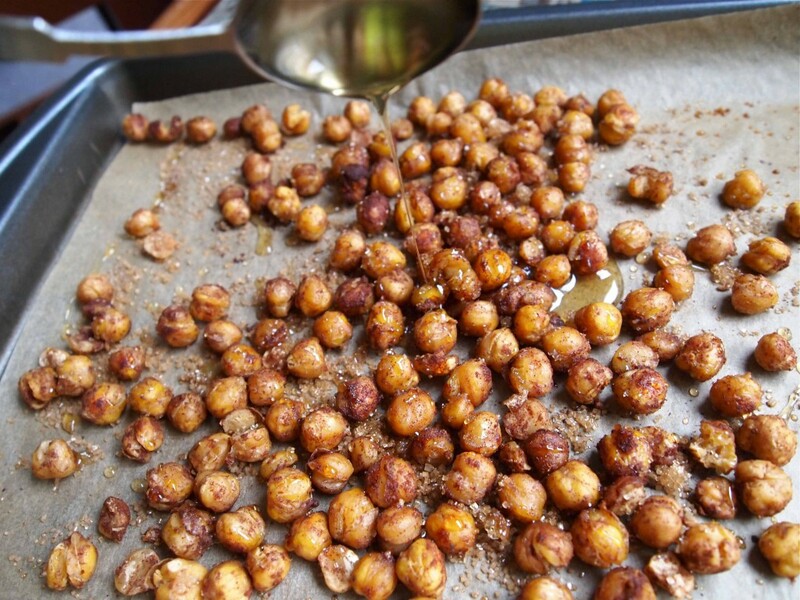 Allow the chickpeas to cool before eating. If you manage to leave enough for leftovers, store them in an airtight container at room temperature.